This story has been updated with comments from Judge Patricia Summe, the previous owner of the property. 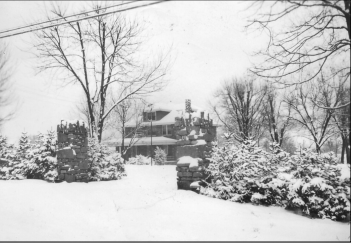 It was built as the home of Joseph Mueller, co-founder, along with his brother, Phillip, of Latonia Ice and Fuel Company. Nearly 100 years later, the sprawling manor, located at 3384 Madison Pike in Ft. Wright, with its stone walls and Spanish-style roof will be torn to the ground to make way for an O'Reilly Auto Parts location. The Kenton County Planning Commission and the City of Ft. Wright gave the green light to the auto parts company for a zone change. The building is not protected by any historic overlay and will be removed to make way for the new building. The surrounding area is well connected to Northern Kentucky history. According to a 2007 article in the Kenton County Historical Society magazine by Mary Jo Hardcorn, the Mueller brothers operated their ice company by harvesting ice from a lake that existed where the Transit Authority of Northern Kentucky (TANK) has its garage currently, on Madison Pike. Joseph Mueller's home sat adjacent to it. In the 1950s, according to Hardcorn's article, after the Muellers had moved on (Joseph Mueller died in 1938), a restaurant, Rio Rita by the Lake opened at the estate in a location that was previously known as Lakeside Inn, on the spot where where the TANK garage is today. In recent years, the building was home to attorney and accounting firm offices and was owned by members of the Summe family. According to Kenton County Property records, Kenton Circuit Judge Patricia Summe was the sole owner of the building since 2014 and sold it to O'Reilly in November last year for $680,000. Judge Summe spoke with The River City News by phone on Tuesday. She said the decision to tear the building down is "sad" but that after two years on the market, there were no other offers to entertain. She said that she purchased the building with her brother and sister and placed their law firm in it after the trio had practiced in downtown Covington with their father. When brother Pete Summe died five years ago, and Judge Summe had been on the bench since 1995, the need for the office and the building was diminished. Summe said that the family reached out to multiple potentially interested parties who may have been interested in preserving all or part of it, or operating a new business on the site - but no one bit. "It had a lot of fun memories for a lot of people in there and it was a really great structure," Summe said. 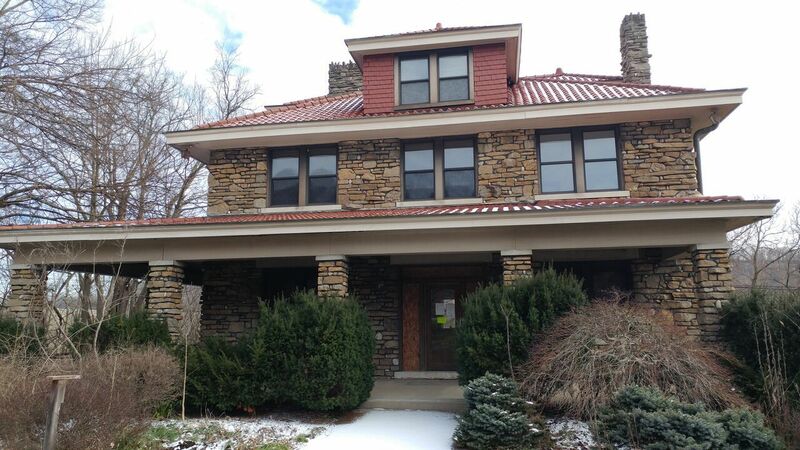 She noted that previous residents included a former president of Thomas More College. As for those criticizing the decision to sell to an auto parts store, Summe said she would have entertained any serious offer. "It's always easier to not walk in somebody else's shoes and we all have a tendency to do that," Summe said. "I'm sorry it couldn't be saved." In documents submitted to Planning & Development Services of Kenton County, reviewed by The River City News following an open records request, O'Reilly will raze both the historic home and a garage on the site to construct a one-story structure typical for the national brand. The surrounding area has become increasingly commercial and industrial in recent years as the success of development around the Ft. Wright Walmart has spilled into surrounding parcels. 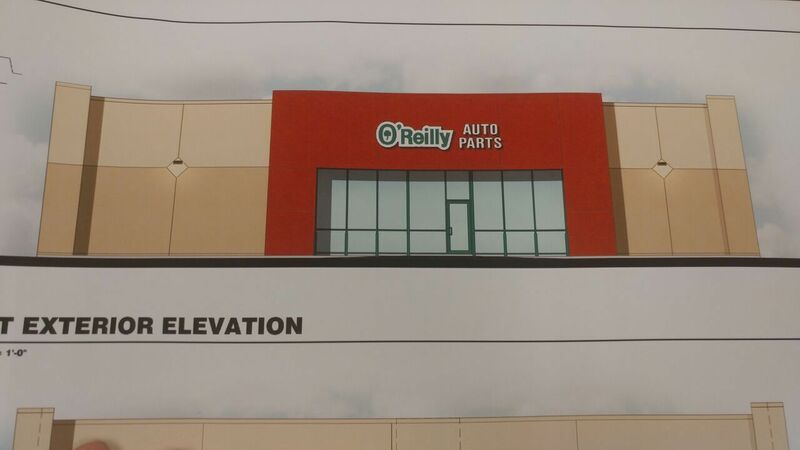 The site in question was changed from industrial zoning to commercial zoning to accommodate the new O'Reilly Auto Parts. Accoridng to PDS, permits for demolition have not yet been sought so dates associated with razing the buildings are not yet known.